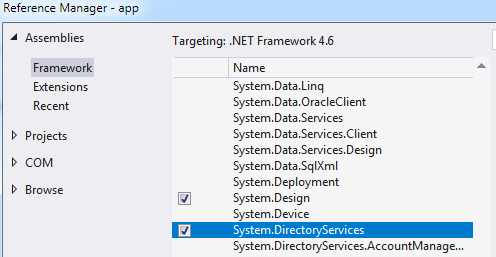 Batch editing and many-to-many fields are the built-in feature of apps created with Code On Time. Many-to-many fields are provided with an additional option in batch edit mode. 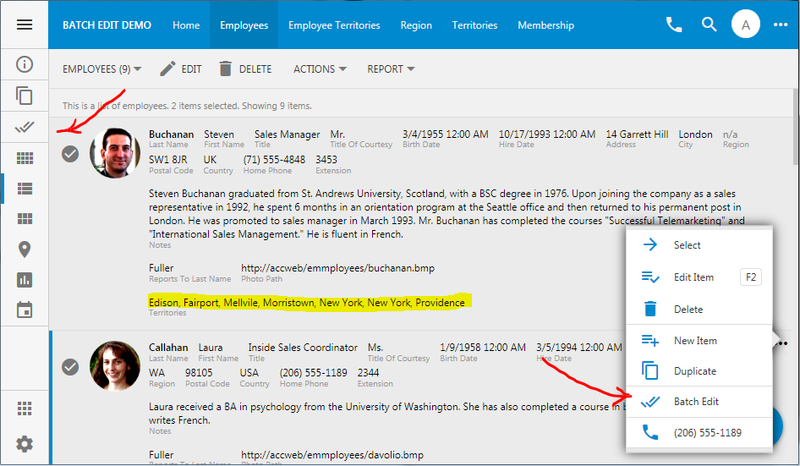 The screen shot shows the user changing Territories and Title or multiple employees. The former is the many-to-many field. It shows the territories that will be assigned to each employee in the batch. 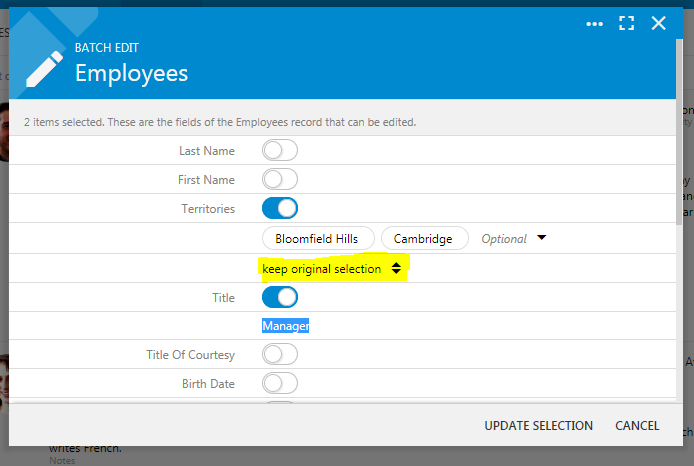 The highlighted option "keep original selection" will instruct the framework to expand the already assigned territories with the new values. 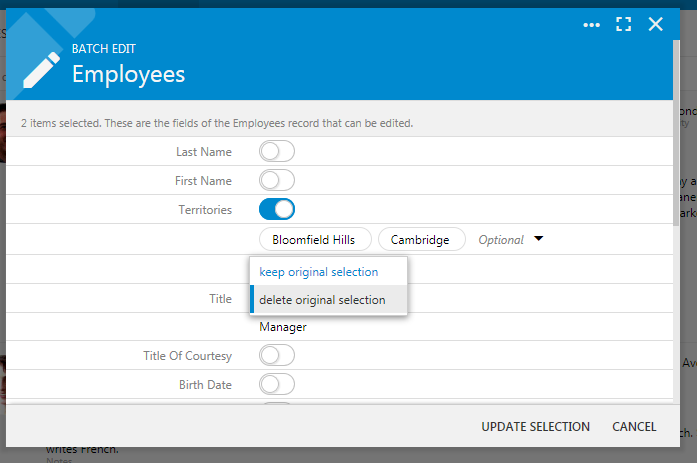 The alternative value "delete original selection" will wipe out all existing territories assigned to the user before assigning exactly the same assortment that is visible in the Batch Edit screen. 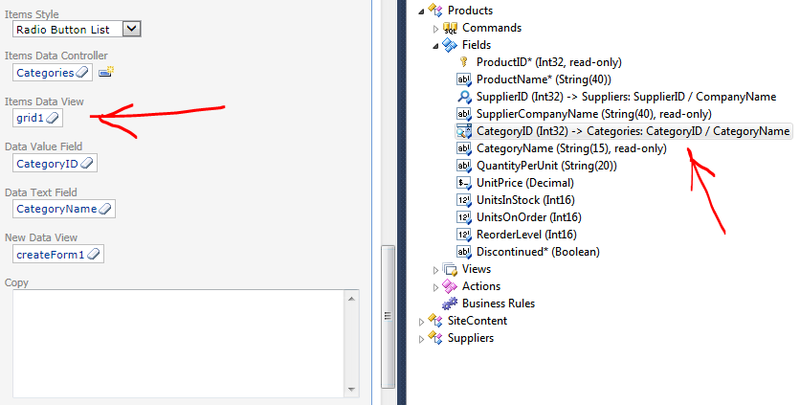 It is easy to enable batch editing and to present data as many-to-many field with Code On Time! 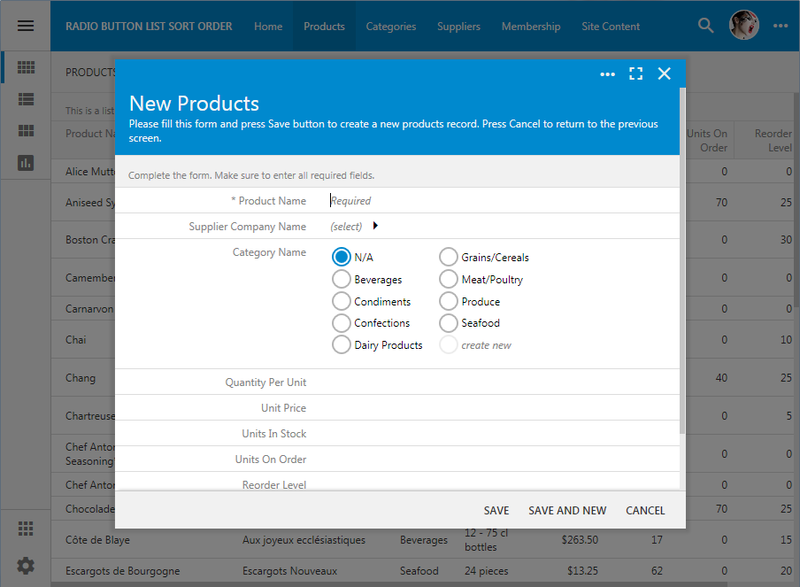 Select project settings, proceed to the features, and under Grid Properties enable batch editing in all data controllers. Refresh your project to embed BatchEdit action everywhere. 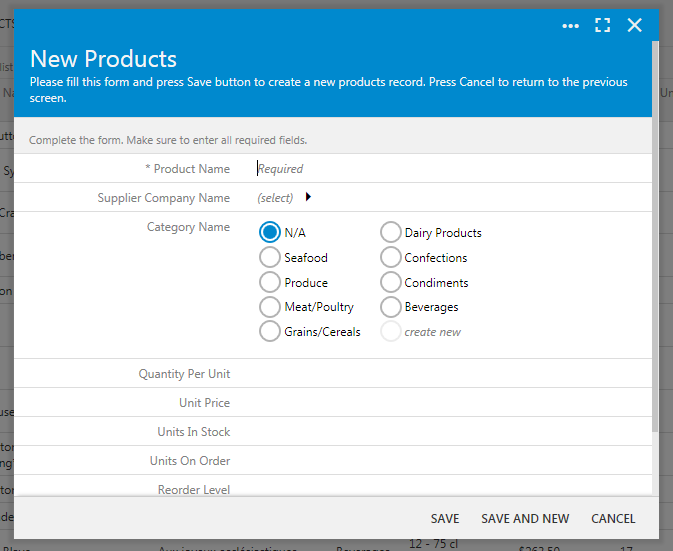 End users will have access to this command when multiple selection is enabled and at least two items are selected. The screenshot above shows many-to-many field Territories. 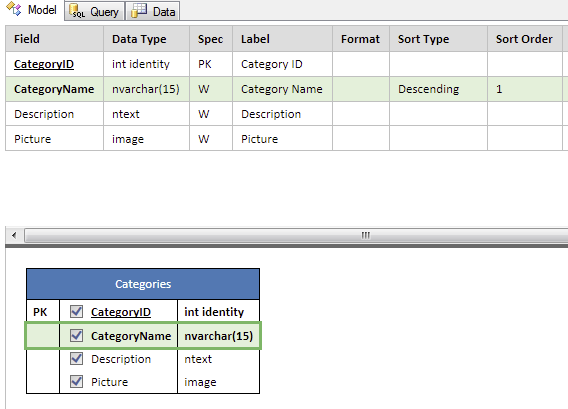 Application framework automatically retrieves matching data rows from the junction table and presents child rows as a comma-separated list. 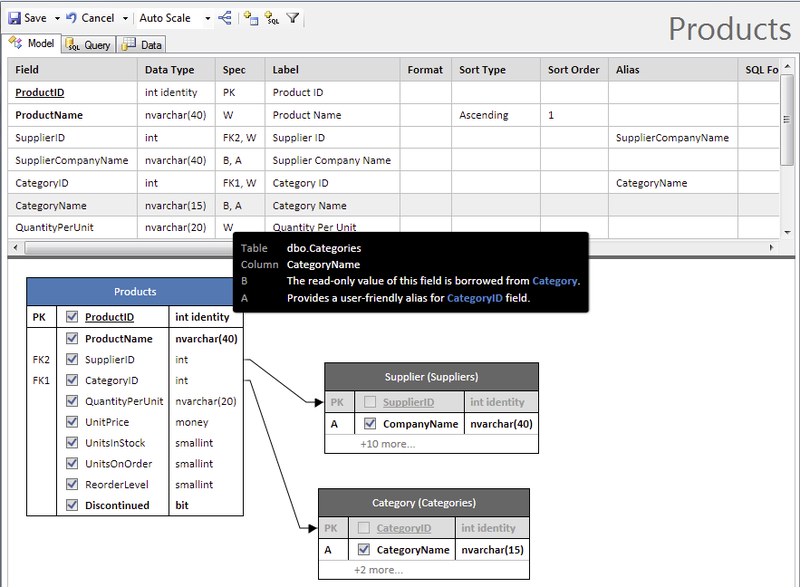 Watch the video tutorial explaining configuration of many-to-many fields here.